I know this isn’t music related exactly, well not at all really. (But I’ll address that later!) However I didn’t want to let the passing of one of the most iconic horror movie stars. 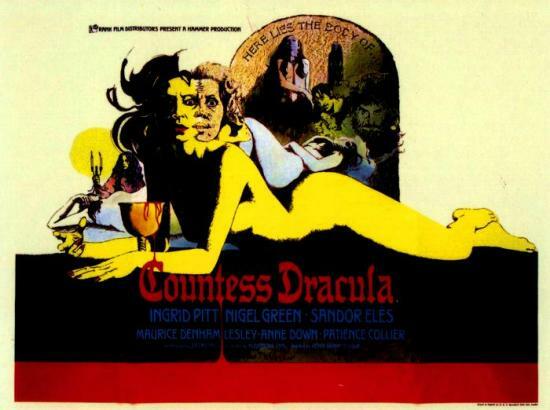 Ingrid Pitt star of many Hammer Horror classics died this week aged 73. I didn’t realise until I read the report on the BBC website that Ingrid was actually born in Poland. You can read the story by clicking here. I have always loved the Hammer Horror movies and I have many of them on DVD. Perhaps one reason I love them so much is that my Uncle Ron worked on quite a few of them, he was the Production Manager, which I think means he was responsible for finding the right locations for filming. Which for much of the Hammer Dracula related films, as far as exterior locations go anyway, was in fact Black Park in Slough. Who ever would have thought that Slough could ever be a stunt double for Romania? If you watch a Hammer Horror movie keep your eye on the screen for all the opening credits and you may well see my Uncle’s name come up as Production Manager, he was called Ron Jackson and whilst he died some time ago is still sadly missed! How cool that your uncle was involved in those old Hammer flicks. Those movies were a staple on late-night (pre-cable) television for me as a kid. Hammer Horror is one of my favorite KaTe songs ever. Have you ever heard the demo versions? Great post – I wasn’t aware of who Ingrid Pitt was before she died, but a little reading got me up to speed. She was also in an old Tom Baker Doctor Who (and later on, so was Kate O’Mara). Cheers, Bill and hope all is well!! I love Kate, as you know, but my favourite song is probably The Man With The Child In His Eyes.I think I remember Ingrid in Doctor Who, but my memory was more likely jogged by my research for the post! All is very well and I will be getting married next year to the lovely Catherine who you may have figured out gets referred to as Catwoman in many of my posts! I’m glad you like the new theme too, I felt it was time for a change. In fact I think you’re the first person to comment on it! How the devil are you anyway? Congrats on the upcoming nuptials! Very exciting news, to say the least! I like The Man With the Child in His Eyes a lot. That first album still ranks on the very short list of favorite albums – not that it’s such a lot of albums with which to work, but still. Definitely in my top three. Things are good; can’t complain. Made it through Thanksgiving without gorging myself for the entire four-day weekend and now it’s onto Christmas. I can’t believe it! I am just about to write a mini-biography for your uncle (Ron Jackson) for my latest On The Buses book, which he worked on. He worked on many iconic series and films including Hammer films and Carry On films. Did he do any stage work? Sad to hear he has since passed away. thanks for the comment I would be keen to know when your book is published. I think my Aunt, Ron’s wife will be buying a copy. Strangely enough I didn’t know that he’d worked on ‘On The Buses’. He did ‘Holiday On The Buses’ I believe. As far as I know he did no stage work. 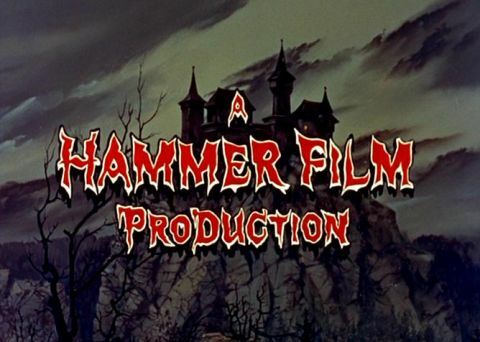 I have all the Hammer Films that he worked on, including most of the TV episodes. I love those old horror movies. Some years ago I used to work for London Transport and I was actually allowed to be a passenger on a bus on the famous skid pan at their Chiswick Works which I think was used in ‘On The Buses’ at some point. Also the episode where a bus gets stuck under a bridge was filmed not far from where I grew up in Hillingdon.